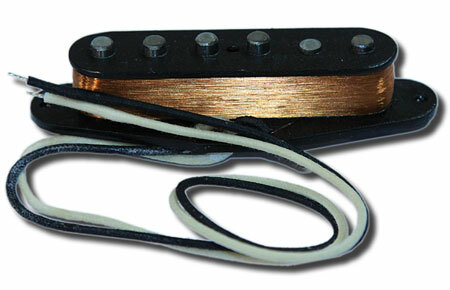 Reverse wound, reverse polarity (RW/RP) middle pickups for hum canceling in positions "2" and "4" on the five-way switch. Left-hand magnet stagger. Available in 7-string.